The Ministry of Defence and Irkut corporation signed on September 7 the new contract for delivery of the multi-purpose fighters Su-30CM. It declared the deputy head of the Russian military man of department Yury Borisov, reports TASS. «The contract on eight Su-30CM planes for aircraft of the Navy of Russia is signed», – he told. According to Borisov, on conditions the contract delivery of cars will be conducted during 2016 and 2017. «It will give additional loading to Irkutsk aircraft factory, will provide to it the corresponding economic stability», – it explained. Earlier in August, 2015 the chief of sea aircraft of the NAVY Igor Kozhin reported that till 2020 not less than 50 planes of the Su-30CM type in interests of fleet are planned purchase. "Irkut" already realizes two contracts for delivery Su-30SM of aircraft of fleet: on five cars from December, 2013 and on seven cars from September, 2014. Besides, since 2012 two contracts with the Air Force on delivery totally 60 such cars are executed. The multipurpose supermaneuverable fighter Su-30CM made on Irkutsk aircraft factory of Irkut corporation, is adaptation for the Russian Air Force of the Cu-30mka plane developed for India (since 1999 over 200 cars are transferred to the customer). Also the car was delivered to Algeria (44 Su-30MKI planes are sold (And)) and Malaysia (18 units of Su-30MKM are put). 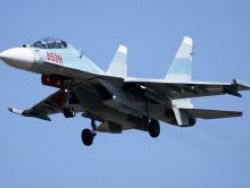 The Su-30CM plane was ordered by the Air Force of Russia, sea aircraft of the Navy of Russia and the Air Force of Kazakhstan.